We offer a wide array of historical memorabilia, including a number of authentic historical coin replicas. 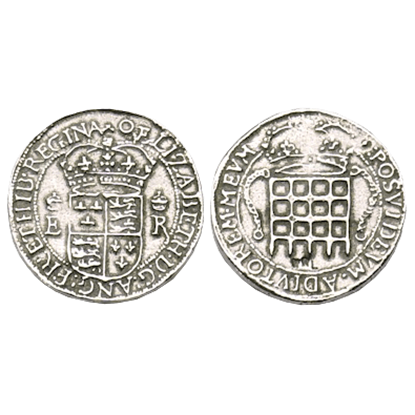 Among our collectible coins, you can find an excellent selection based on the currency of the Tudor dynasty of England. 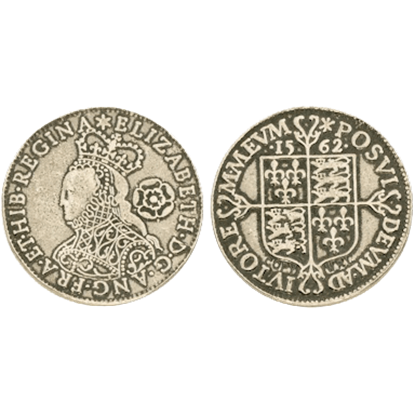 Many of these English monarch coins are based on the historical coinage that was minted at the foundation of the Tudor dynasty or saw use throughout their rule of England. 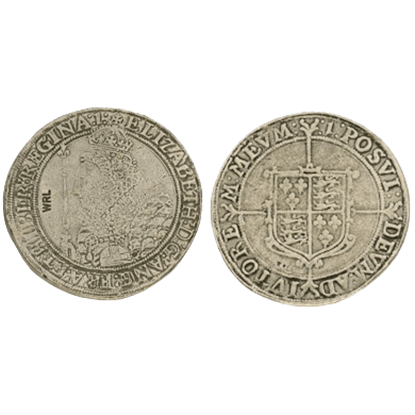 The Tudor coins represent a number of the denominations, including the sixpence, the groat, and the crown. These Tudor collectors coins are beautifully cast in pewter and then plated in gold or given an antiqued finish. As far as gifts go, this Tudor currency is great. 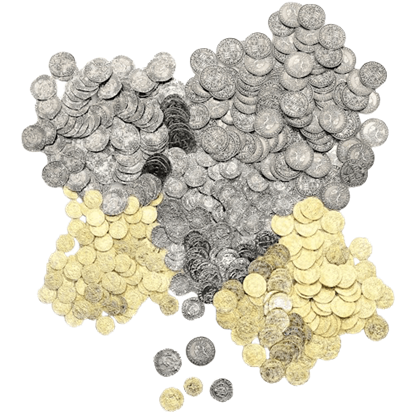 The coin packs offer historical information packets for enthusiasts and history buffs, while other coin sets work well as gaming coins, Ren fair money, or stage props. This set of 50 Mixed Tudor Coins is a mix of 10 each of 5 different reproduction coins including half groats, groats, sixpences, quarter angels, and half angels. All our coins are made from pewter that is either antiqued or gold plated. This is a reproduction Crown coin with a bust of Elizabeth I on the obverse and a long cross over the royal shield on the reverse. These Tudor Coins are great for kids of all ages, collectors, gamers, and living history groups. This is a reproduction Elizabeth I Quarter Angel coin with St. Michael and a dragon on the obverse and a ship bearing a shield on the reverse. These coins are great for kids of all ages, collectors, gamers, and living history groups. This is a reproduction Sixpence coin with the bust of Elizabeth I on the obverse and a long cross over the royal shield on the reverse. 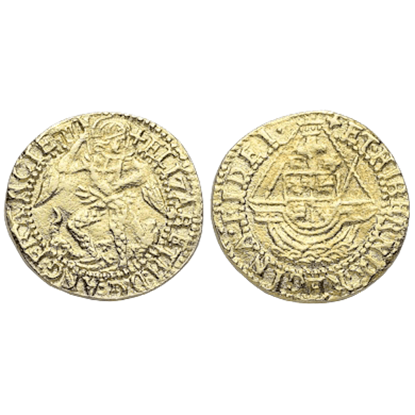 These Tudor Coins are great for kids of all ages, collectors, gamers, and living history groups. This is reproduction Elizabeth I One Testern coin with crowned royal shield on the obverse and crowned portcullis on the reverse. 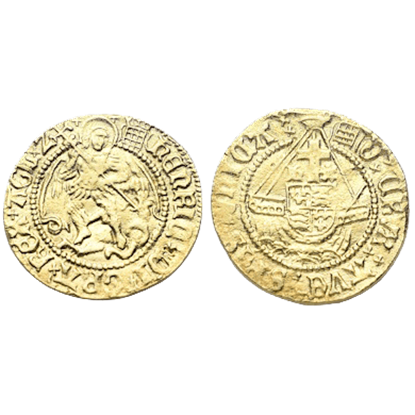 These Tudor Coins are great for kids of all ages, collectors, gamers, and living history groups. 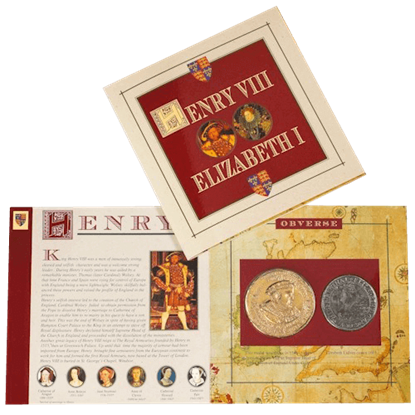 The two coins are held in clear plastic blisters and are supplied in full color wallet style packaging, complete with images and historical information relating to Henry VIII, Elizabeth I and the Tudor Age. 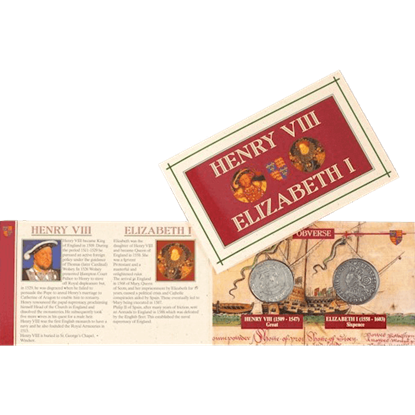 The two coins are held in clear plastic blisters and are supplied in full color wallet style packaging, complete with images and historical information relating to Henry VIII and Elizabeth I. Henry VIII became king of England in 1509. The Henry VIII Groat coin is held in a clear plastic blister and is supplied on a card. 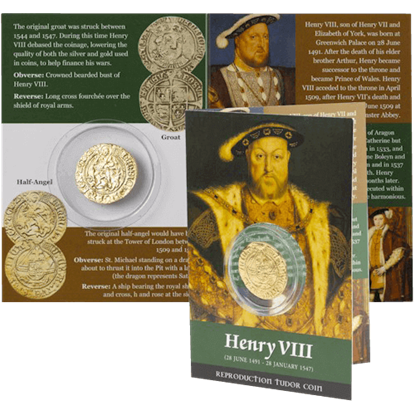 The front image of Henry VIII is rendered in vivid color and the reverse features a bit of historical information that goes with the coin. This is a reproduction Groat coin with the bust of Henry VIII on the obverse and long cross over shield on the reverse. 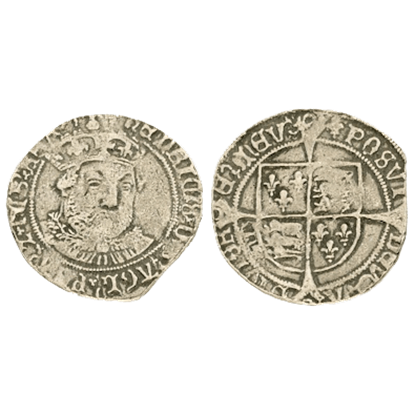 These Tudor Coins are great for kids of all ages, collectors, gamers, and living history groups. This reproduction Henry VIII Half Angel is held in a blister on the front. The front image of Henry VIII is color and on the reverse is historical info. On the inside and reverse inside there is information about Henry VIIIs life. This is a reproduction Henry VIII Half-Angel Coin with St. Michael with a dragon on the obverse and a ship bearing a shield on the reverse. These Tudor Coins are great for kids of all ages, collectors, gamers, and history groups. 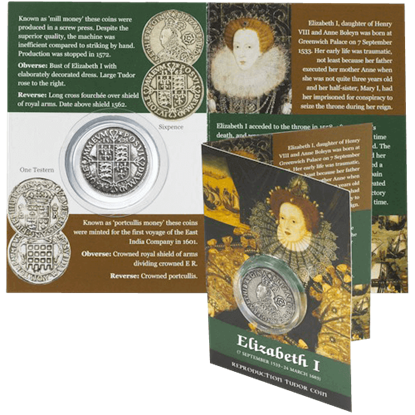 The Sixpence Elizabeth I Coin Pack features a coin held in a clear plastic blister and supplied in full color pamphlet style packaging, complete with images and historical information on both the coin and the life of Elizabeth I.